I wanted simple yet beautiful Valentine's Day decor this year. 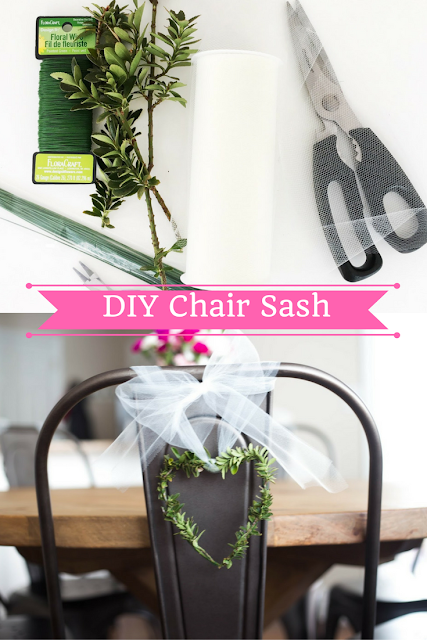 Lucky for me, my friend showed me these adorable chair sashes that were incredibly easy to make and so cheap! 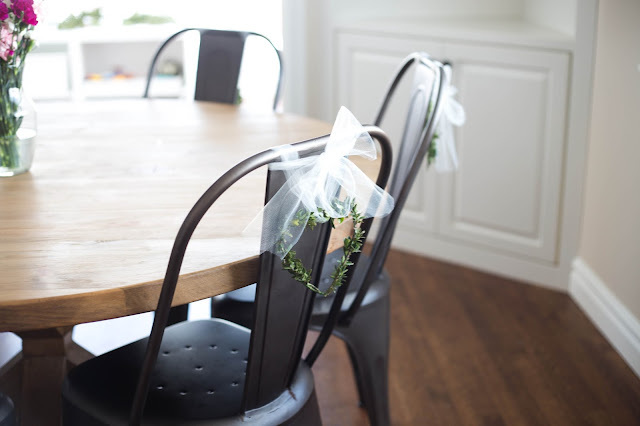 The only trouble I had was figuring out a way to neatly tie them onto my metal chairs. 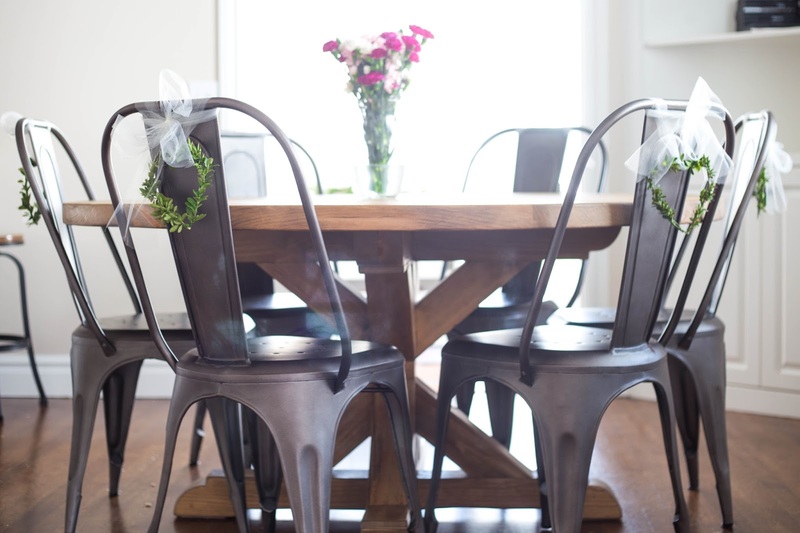 Wouldn't these be cute for wedding decor? They practically scream love! Cut sections of boxwood or any other greenery in your yard. Use thick floral wire and jewelry tools to create the heart shape. 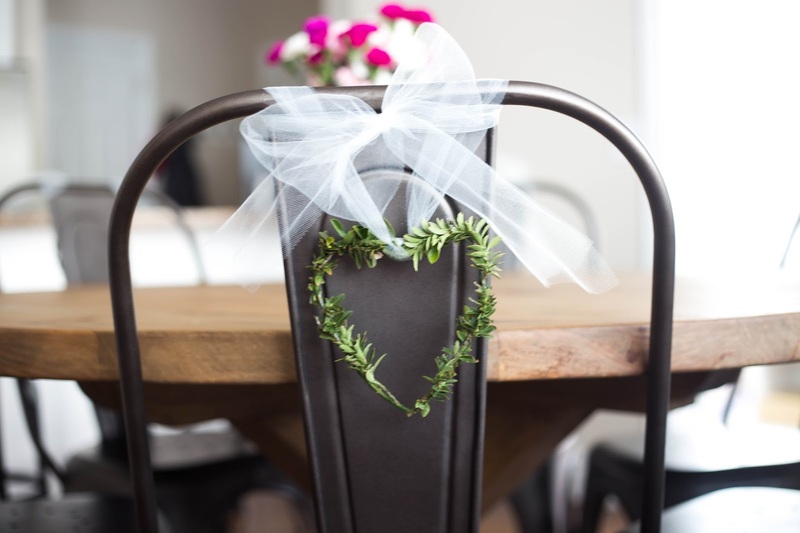 Use skinny floral wire to wrap the boxwood around the heart shape. Tie with ribbon or tulle to the chair. There you have it guys - simply beautiful! I predict that chair decorations are going to be my new "thing" for every holiday.